Shrinking pixel sizes along with improvements in image sensors, optics, and electronics have elevated DSCs to levels of performance that match, and have the potential to surpass, that of silver-halide film cameras. Image Sensors and Signal Processing for Digital Still Cameras captures the current state of DSC image acquisition and signal processing technology and takes an all-inclusive look at the field, from the history of DSCs to future possibilities. Solid State and Quantum Theory for Optoelectronics presents a logical progression of material from the mathematics of linear algebra and Hilbert space to fundamental and perturbed solutions of the Schrödinger wave equation to multi-particle systems, second quantization, and Feynman Path integrals. This book provides applications to bonding, energy band theory including tight binding and k-p theory, electrical transport and density of states, and tensor effective mass. Covering recent developments in quantum computing and teleportation, it also includes a discussion of statistical mechanics and entropy to deduce the Fermi-Dirac and Boltzman distributions. This book presents recent and important developments in the field of terahertz radiation, with a particular focus on pulsed terahertz radiation. Situated in the gap between electronics and optics, the terahertz frequency range of the electro-magnetic spectrum has long been neglected by scientists and engineers due to a lack of efficient and affordable terahertz sources and detectors. The advent of femtosecond lasers in the 1980s and photoconductive switches in 1984 have made the terahertz gap accessible, while at the same time advances in electronics and optics have made it narrower. Research activities in terahertz frequencies have intensified dramatically since that time, funding has increased by a factor of 100 in the last decade. The reviews by leading experts are of interest to researchers and engineers as well as advanced students. This book presents a review of devices and advanced simulation approaches written by leading researchers and software developers. It is intended for scientists and device engineers in optoelectronics who are interested in using advanced software tools. 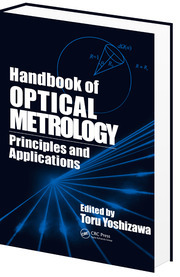 Each chapter includes the theoretical background as well as practical simulation results that help the reader to better understand internal device physics. Real-world devices such as edge-emitting or surface-emitting laser diodes, light-emitting diodes, solar cells, photodetectors, and integrated optoelectronic circuits are investigated. The software packages described in the book are available to the public, on a commercial or noncommercial basis, so that the interested reader is quickly able to perform similar simulations. Optoelectronic devices are currently being developed at an extraordinary rate. Organic light-emitting diodes, photovoltaic devices and electro-optical modulators are pivotal to the future of displays, photosensors and solar cells, and communication technologies. This book details the theories underlying the mechanisms involved in the relevant organic materials and covers, at a basic level, how the organic components are made. 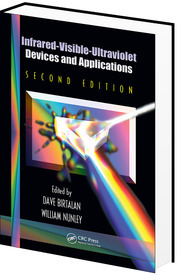 Fully revised to reflect current developments in the field, Optoelectronics: Infrared-Visible-Ultraviolet Devices and Applications, Second Edition reviews relevant semiconductor fundamentals, including device physics, from an optoelectronic industry perspective. 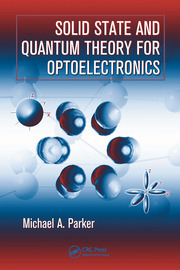 This easy-reading text provides a practical engineering introduction to optoelectronic LEDs and silicon sensor technology for the infrared, visible, and ultraviolet portion of the electromagnetic spectrum.